A huge hack carried out today ! 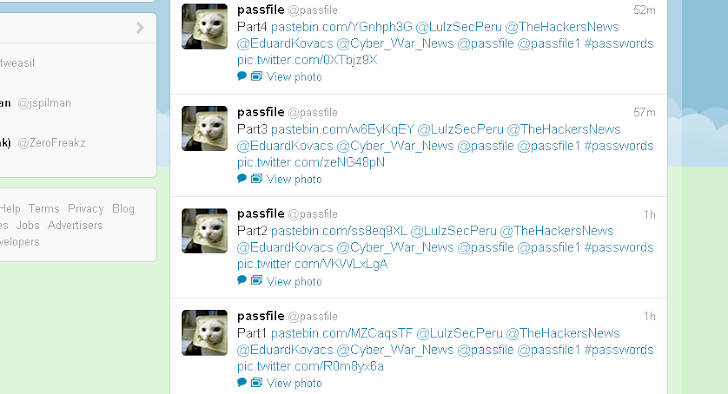 One of the biggest Peru Domain registrar company (punto.pe) hacked by Lulzsecperu (declared by a tweet) and Complete database of 207116 websites has been leaked on internet. Leaked database include Domain panel username, encrypted password, Company descriptions. Hacked domains include all .PU domains ie. Banks , Institutes, computer security companies, corporates, colleges, government, personal websites. "We clarify that we have no malicious purposes, only prove that the security of PERU is bad and should be corrected. Greetings to the computer crimes division of the National Police of Peru from March 2012 is nil activity and fail or be close to where we are now ASBANC for trying." Hacker said in an statement. 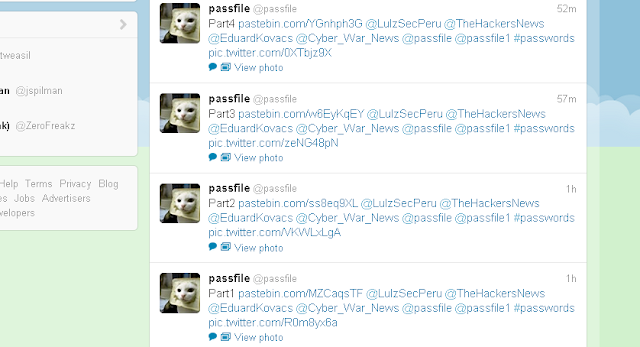 2-3 Hours after Lulzsecperu hack, another hacker "@passfile" come up with decrypted password file of all domains credentials. Peru Domains Registrar Website is currently under maintenance !